As part of the curriculum at Roo’s new school, the children in Year 3, 4 and 5 all must attend a residential trip. Which as a parent brings mixed feelings as I know that Roo would be fine and be able to manage without me for a couple of nights but there is that feeling that they are too young. It is, however, good for them to gain some independence and experience new things. Armed with a kit list we started to gather together all the different things that she would need for the three-day trip. With tents being provided by the school the children just needed to bring a sleeping bag and roll mat with them. Having previously attended a Cub Scout camp at Easter we suddenly realised the importance of having a good quality sleeping bag as Roo was a little cold last time. 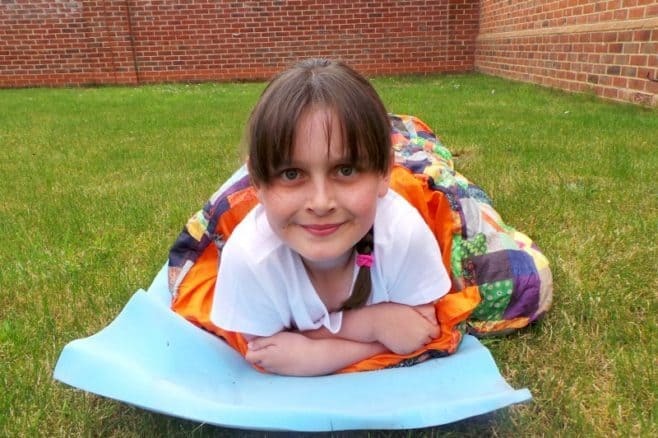 So we’ve invested in the Patchwork Sleeping Bag from Planet Camping along with a foam camping mat to give her a little cushioning on the ground as well as keeping her off the cold ground sheet. Roo loved the patchwork design of the sleeping bag and the theme was carried through onto the bag it comes in to make it easy to carry which means that it is easy to spot which sleeping bag would be Roo’s from the sea of black, blue and pink sleeping bags. The weekend before camp she decided she needed to try it out in the garden so rolled out the camp mat, popped the sleeping bag on top and laid in the garden reading her book. The biggest thing I love about the sleeping bag (other than its funky design) is its ease of getting in and out of the travel bag, it rolls up easily and the bag has a wide opening in order to slip over the sleeping bag and then secures with a drawstring. 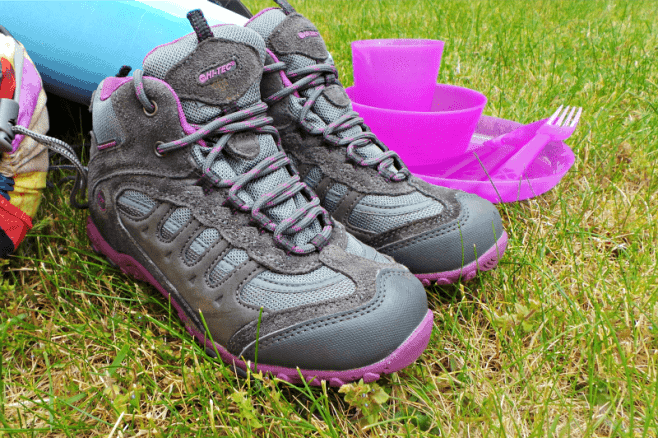 I can remember from my own camping and hiking days that a good pair of boots are essential, something that will bother you far more than being cold and wet is sore feet. Roo has had these Hi-Tec Penrith Hiking Boots for a few months and has seen her through a Cub Scout camp as well as numerous trips through the woods and not only do they still look as good as new they are so comfortable for her to wear and she has never complained about her feet being sore or getting any blisters. 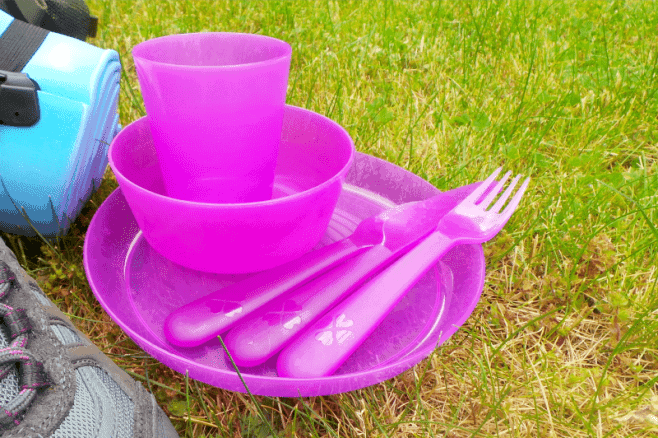 When I looked at the kit list and it requested for each child to provide their own plate, bowl, cup and cutlery I did think it a little strange as the site there were going to is all set up for schools so I was reluctant to go out and purchase a camping set of dinnerware just for this camp. However, when I was making dinner I opened the cupboards and saw the children’s IKEA KALAS dinnerware sitting there and thought that it would work perfectly (plus a set of six costs 90p each so if she lost it I wasn’t bothered). Does your child do a residential trip with their school? Previous Post: « Let the football commence!